Including gear rental, book, logbook and certification only. Course duration is 2 days. 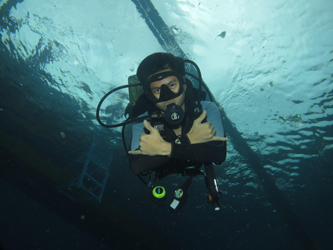 PADI Adventure Dives can also count towards PADI Specialty Diver certifications. If you liked your Night Adventure Dive so much that you wanted to take a complete PADI Night Diver Specialty course, your Night Adventure Dive can count as the first dive of that specialty. Another step is taking Emergency First Response and become a responder then continue your education and become a Rescue Diver.